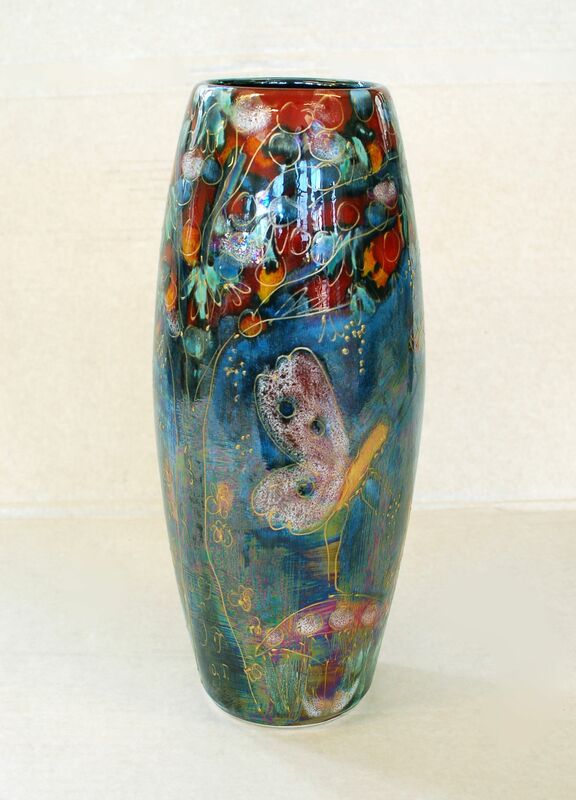 Fairy Dust Lustre Skittle Vase. 25cm high. Hand painted. Carlton Ware script mark, hand painted, made in England, with Anita Harris Art Pottery mark on base. Please note that these vases are made to order and take 4 – 6 weeks to design and deliver.